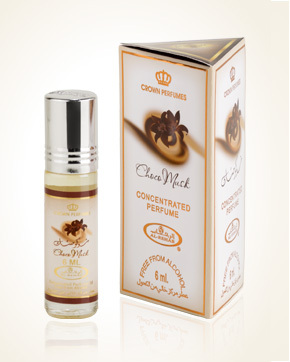 Pocket pack of oriental perfume, whose great advantage is small size (6 ml perfume) so it will fit even the smallest purse or pocket. Perfume is also very easy to apply using pellets in the bottle cap. Your favorite scent so you can always have with you. Perfume full of sweet and distinctive tones of vanilla, chocolate and caramel brings you directly gourmet aroma and the contribution of musk.